Do you need a new house key or a complete locking system? Island Lock & Safe is the professional locksmith that meets all of your security needs. We are easy to find in Sydney on Reeves Street just behind the Bonnie Prince Restaurant & Lounge. Do you need lock or security system installation? 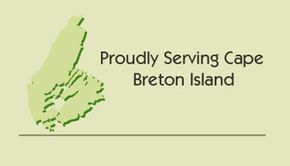 Call us for service throughout Cape Breton Island and Eastern Nova Scotia. You may also request information about Island Lock & Safe services by email. Use our eform for a prompt reply.